Wow what an amazing week we spent last week at the Unforgettable Woman Conference 2018! The presence of God reigned over The Kingdom Church! On behalf of myself and Dr Jennifer the Woman of God I would like to say a special thank you to our guests that joined us and to all those who participated near and far. Even those who contributed to making this conference such a success, I thank you and I celebrate the testimonies that are about to break forth in your life. This weekend powerful things are about to happen as we have our Miracle Fire Service and the last Frankincense service of 2018. Don’t miss your blessings and make sure that you join us here this weekend as mighty things are about to place. 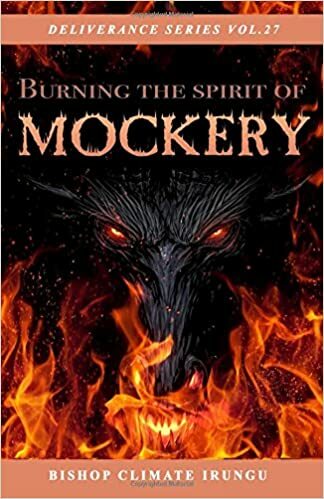 CLICK NOW TO DISCOVER HOW TO DESTROY EVERY SPIRIT OF MOCKERY! CLICK NOW TO DOWNLOAD DAY 5 OF UWC 2018! Tuesday 27th November Kingdom Seniors at 7:30PM! Come for networking and biblical principles for all seniors. Join us Friday 30th November Come and join us for the After Sunset Miracle Service. Come and hear instant testimonies of healing, breakthrough and restoration. Join us Saturday 1st December Midnight Express 12AM – 1AM Come for the express prayer service that is breaking barriers and producing miracles! Join us Saturday 1st December for Prayer for the Nations at 10 AM. Super Sunday 2nd December 2018!